Popular Orthodox singer Avraham Fried brought some especial excitement to ShabbatUK at South Hampstead with a motzei Shabbat Havdalah performance full of some of his greatest hits. This followed a community-oriented Shabbat, with ruach-filled services and a very popular Friday night dinner that was attended by over 150 people. “A unique Shabbat musical experience which highlighted the beauty of singing with our voices on Friday night and enjoying the magic of musical instruments on motzei Shabbat. The event brought our community together, drew guests from outside the community and through the remarkable performance of Avraham Fried made Shabbat UK feel extremely special”. “It was a very special evening with family and friends, singing and dancing, bringing to a close what was a beautiful ShabbatUK”. “There was some positive Jewish music to listen to – it was a really nice family concert where everyone enjoyed themselves”. “It was great atmosphere on Saturday and will remain in the hearts of all who were there – Avraham Fried really connected with community and didn’t just take over – he let members join him in singing to feel part of it”. “We loved it. We were very lucky to get to see him perform in such a small and intimate setting”. Shabbat UK was hugely uplifting and climaxed with a beautiful havdalah ceremony and a fabulous concert showcasing an Israeli band which brought the flavour and spirit of Shlomo Carlebach to the occasion. The extent to which our children got involved and all joined the ‘Solomon Brothers’ on the stage to sing together was an unexpected moment which was a huge highlight. Through this event our community experienced unity, the power of Shabbat, the beauty of havdalah and the soul of Jewish music. 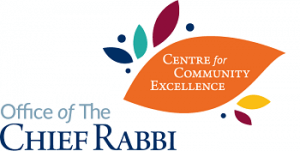 Thank you so much for the energy, encouragement and investment that the CCE breathed in to ShabbatUK.